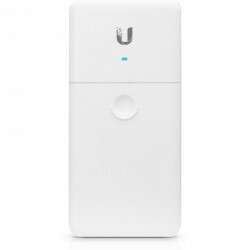 Accessories Ubiquiti There are 2 products. The power supply modules POE from Ubiquiti are functional solutions to supply integrated with PoE injector, high performance and different types of voltage. The products of Ubiquiti to power PoE are characterized by an output voltage of 12v to 24 V optimized. The TOUGHCable ™ category 5e industrial-grade protects your networks of the environments more brutal. Ubiquiti has a multitude of accessories and add-ons of assembly for their products. The power supplies PoE Ubiquiti protect against electrostatic discharge, providing grounding and surge protection. Ta,well there are switches, such as Ubiquiti TS-8-PRO, which is a switch managed, ideally both in domestic environments and in small offices. It is characterized by its industrial power.